Each catalog we strive to find new solutions for your awards. We just published our Dog Show Award Catalog (in March) with over 90 NEW products. I wanted to tell you today about my personal favorite new dog show awards in the catalog. 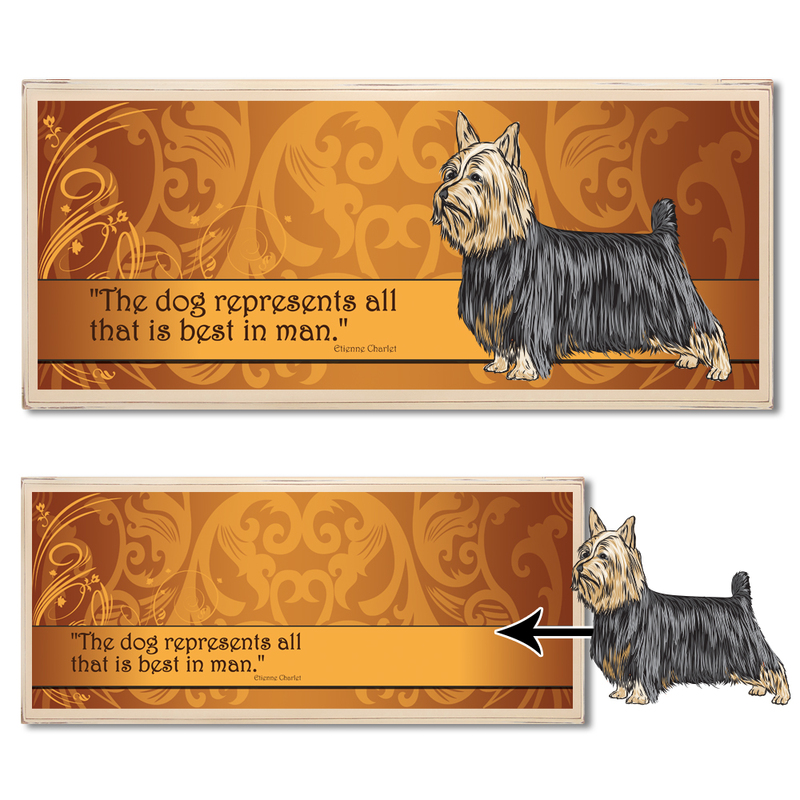 My first favorite is our new vintage dog plaques. We actually have two versions: The “Best Dog” Vintage Award Plaque and the “Dog Life” Vintage Award Plaque. 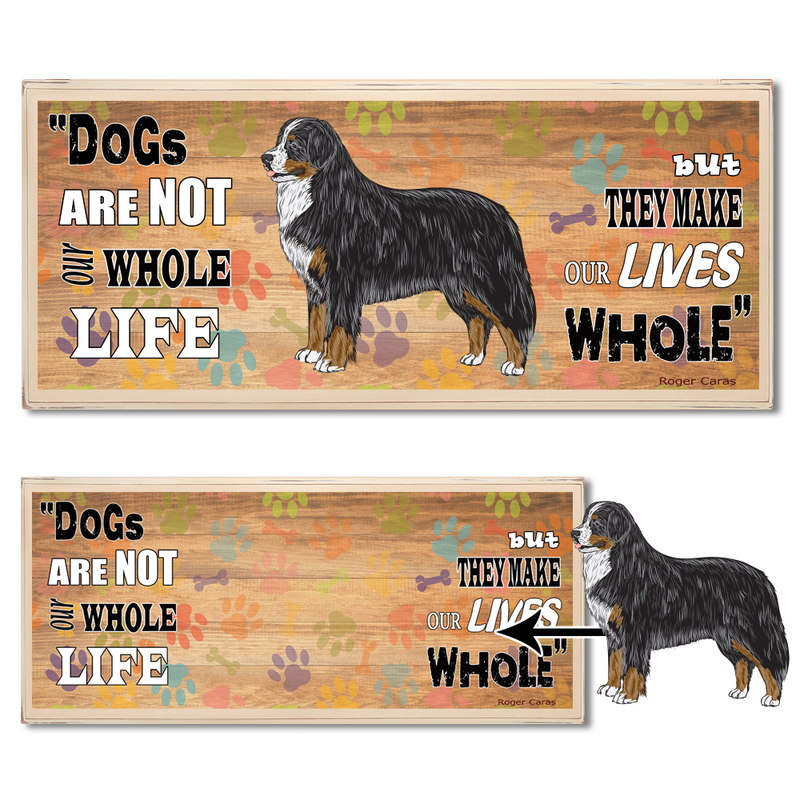 Both plaques feature dog themed quotes, attractive backgrounds and are customizable with one of our AKC breed stock designs (200+ new full color designs). These make great awards and gifts for your volunteers! My second favorite product is the new Windsor Rosette. It offers something a little different from what is currently in our line of dog show rosettes. The Windsor Rosette features a ¾ rosette top made of hand sewn petals and three 12” streamers. 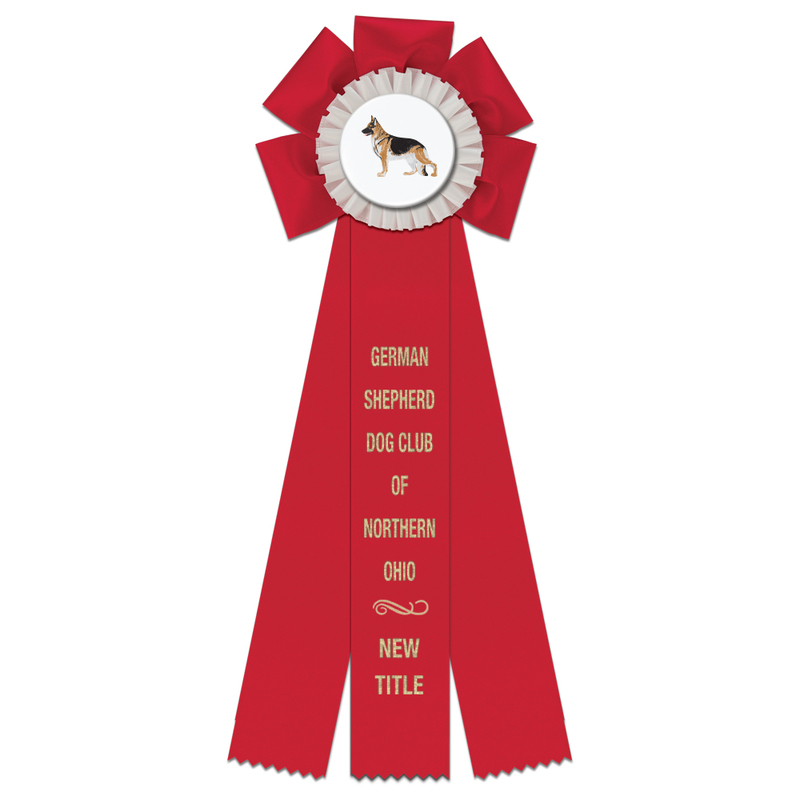 Just like our other rosettes, you can still choose a button, gold rim, or satin center rosette center with your logo or a stock design, any ribbon color or combination of ribbon colors including exclusive multicolor side streamers and 10 lines of custom print. The Windsor Rosette can also be customized with up to 24” streamers to accommodate if you are looking for a larger rosette. 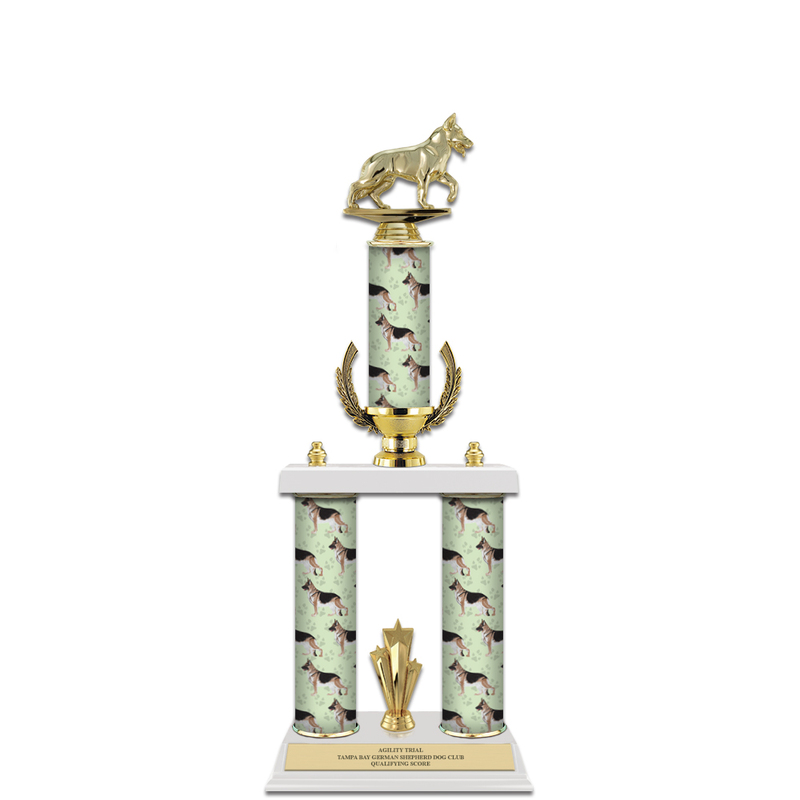 My third favorite product is actually not a product but a new option for our dog show trophies. We had our art department create a custom printed column that can go on any trophy with columns. 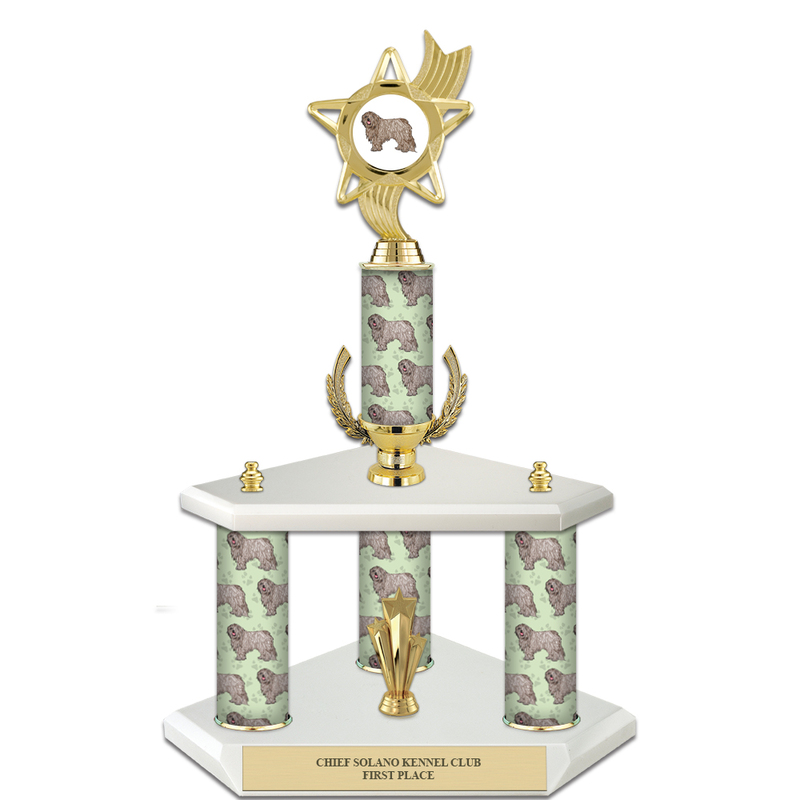 It features a paw print design on a light green background and your choice of any AKC Dog Breed stock design. This is great for those shows exhibiting less common breeds not usually available in trophy tops. 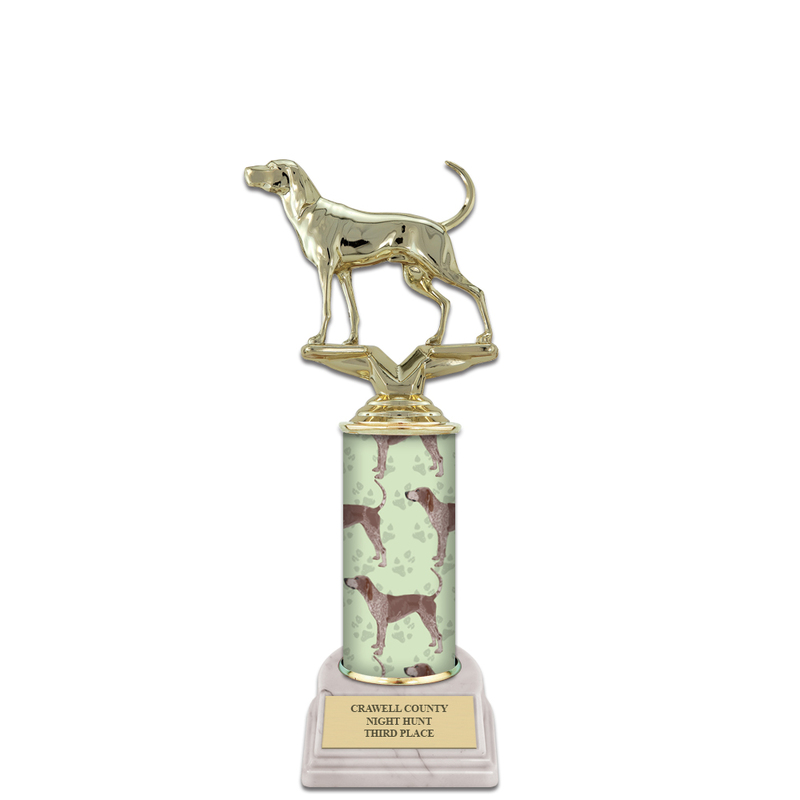 It allows you to customize the trophy specifically for your breed with a more generic trophy top.